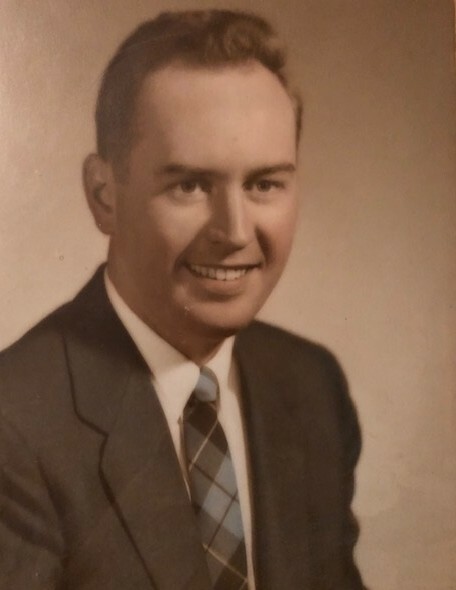 Roger F. Sugrue, age 88, of Holyoke, passed away on Thursday, March 28, 2019 at the Holyoke Soldiers Home. He was born in Holyoke, son of the late Roger F. and Ann M. (Ryan) Sugrue and was educated in the former Sacred Heart schools. Roger was a United States Army Veteran of the Korean War, serving from 1952 to 1954. He married Clare (Ott) in 1955. He graduated from the University of Massachusetts Amherst with a Bachelors degree in Business Administration in 1959. He was Vice President of Group Pensions at Massachusetts Mutual Insurance Company in Springfield, retiring after 33 years. Roger was a member of the Holyoke Lodge of Elks #902 and a 10-year Trustee at Holyoke Community College. He is survived by a son, Michael E. Sugrue of Florence, two daughters, Kathleen Sugrue-Richards and her husband Carleton of Douglas and Donna Sugrue and her husband Charles Long of Hampden; four grandchildren, Gillian, Jessica, Aidan, and Liam Sugrue; and one brother Terrence Sugrue of South Hadley. Roger was predeceased by a son, Roger Sugrue in 2013 and two sisters, Marjorie Shepardson and Ann Cunningham. A Prayer Service will be held Wednesday, April 3, 2019 at 8:45 a.m. in the Barry J. Farrell Funeral Home, 2049 Northampton Street. Committal with United States Army Military Honors will follow at 10:00 a.m. in the Chapel of the Massachusetts Veterans Memorial Cemetery, 1390 Main Street, Agawam. Calling hours will be held Tuesday, April 2, 2019 from 4:00 to 7:00 p.m. Memorial contributions may be made in memory of Roger to Friends of the Soldiers Home in Holyoke, Inc., Box 1338, Holyoke, MA 01041.